Let’s Put Democracy Back Into Austin’s “Progressive” Organizations! As I write this, we are about to head into the Fourth of July weekend. Celebrations are definitely in order, as we are all very fortunate to live in the freest country on Earth. This is also a time when we can pause and reflect on what we can do to ensure that we practice the best principles of democracy in our civic activities. To fall short of those principles would be to succumb to certain human weaknesses that threaten the very democracy that we claim to support and embrace. How many times have you been to a civic meeting in this town, where the membership was called upon to vote to endorse a candidate for office, or to take a position on a ballot proposition? And how many times did you come to that meeting, hoping to hear presentations from both opposing candidates or both viewpoints on that ballot proposition? In far too many cases, Austin political and environmental organizations who consider themselves “progressive,” will only present one side of an issue. Last November’s urban rail bond proposition is a perfect example. The “Old Guard” leadership of several organizations only saw fit to trumpet their viewpoint at the endorsement meetings. No spokesperson for any faction opposed to the rail bonds was given equal time to lay out their viewpoint in a formal presentation to the group. My immediate reaction to this non-inclusive approach is to ponder a simple question. What were the anointed leaders who came to these meetings with their minds firmly set in their convictions afraid of? Were they afraid that giving both sides a fair chance to present their case would somehow harm their chances of winning the vote? Were they afraid that their version of the facts on the issue would not be strong enough to win over those who disagreed with them? I prefer to ask a different question. Why not offer equal respect to the members of both sides, and let the beauty and the power of the democratic process play out in a spirit of fair play? I welcome anyone who disagrees with that concept to share their comments at the end of this blog. Perhaps I am missing something here, and if so, I would sure like to know what that is. With candidates for office, many of these same organizations use a variety of methods to steer endorsement votes to the hand-picked favorites of the insiders. Meetings can be stacked with brand new recruits who had their membership dues paid for them by supporters of the anointed candidates. Or else, the executive committee of the organization decides which candidate they want to endorse, without providing any speaking opportunities for opposing candidates in front of the whole membership. I would like to think that 2015 would be a good year to put that style of backroom dealing out to pasture. Let’s leave those shenanigans to the Old Guard political hacks of the past. For the rest of us, let’s confront the leaders of these organizations and insist that they revise their bylaws and put procedures in place that respect fairness and the basic principles of democracy. And if those leaders would prefer to maintain the status quo, let’s vote them out and usher in a New Guard that will operate in the open without any fear whatsoever of what fairness and the democratic process might bring. This entry was posted in Uncategorized and tagged Austin, Austin candidates, Austin democracy, Austin elections, Austin politics, Austin progressive on July 2, 2015 by Bill Oakey. The “Austin 311” Smartphone App – Could We Harness It To Protect Our Neighborhoods? In this instance, the fifth time was the charm. When I spotted the large crew of City workers assembled with major equipment and orange cones, I knew that this friendly, familiar, adopted pothole was on its way to final oblivion. I cheerfully shook hands as I thanked the workers and confessed to being the person who made the report. 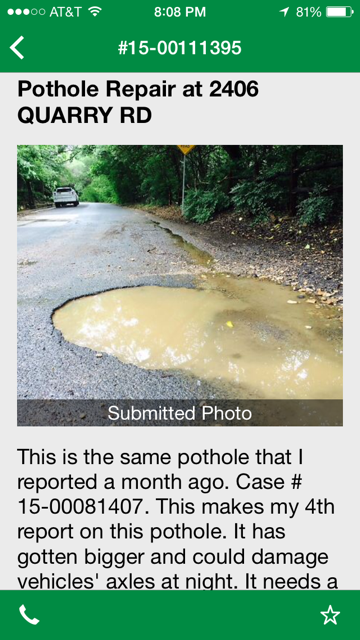 The incredible amount of rainfall that we have gotten has generated more potholes than the City can manage to keep up with. That is quite understandable. However, the temporary patches that were applied within a few hours were of insufficient quality to last more than about 3 days. The fact remains, though, that the Austin 311 app is a marvelous tool for citizens to access City services. Whoever designed it should be highly commended. If you are reporting a street light that is out or another location-specific issue, the app uses GPS and lists the street address for you. If the address is off by a couple of numbers, you can take your finger and quickly move the pointer to the exact spot where you are standing. All of this information is right there on the app. Just tap FAQ from the opening screen, then click on “Calendar,” then “City Council.” Some upcoming board and commission meetings are also listed. You cannot use the app to sign up to speak on Citizens Communications or on specific agenda items just yet. But it’s possible that plans for that could be in the works. Just Imagine the Possibilities That We Could Have at Our Fingertips! 1. Short-Term Rental Code Violations – Tap to enter an address to see if the house is properly registered. If not, tap again to report it. Tap to report loud wild parties, more tenants than the code allows, or too many vehicles clogging the neighborhood street. Perhaps you could even tap to suggest that identifying signs with permit numbers be attached to these structures, so that anyone wishing to verify their registration, complaint history, or tax payment compliance status could easily do so. The ideal way to do that would be to include a QR code on the sign, so that people could hold their phones up to the code grid to immediately view the online information. 2. Connect With City Council Offices – Tap to request an appointment, send messages voicing support or opposition to upcoming items posted for action, submit a reform proposal (if you know anybody who would want to attempt something like that), etc. 3. Connect With Your Neighborhood Association – Tap to contact your neighborhood representatives to bring your concerns to their attention, view their upcoming meeting dates and agendas, etc. 4. Provide Public input On Major Studies, Planning Processes, Etc. – The 311 app could become the mechanism for public engagement on major initiatives like CodeNext, Corridor Planning Groups, Advisory Groups, Task Forces, etc. The app could list all of the ongoing groups, along with their meeting schedules and the names and affiliations of the appointees. All public input would be analyzed, tabulated and quantified in automated reports that are accessible on the app, updated regularly, and submitted to appropriate City Staff and the City Council. 5. Enhanced Options for Providing Citizen Feedback – This is my favorite suggestion. Once you have the City Council agenda on your phone screen, you would be able to quickly search for a topic, such as “Decker Lake Golf Course” or “Hot Button Zoning Case.” Once that item pops up, you could tap a button and register your support or opposition, along with some comments that the Council could review. Then, in Version 2.0 or 3.0 of this feature, perhaps we could view a real-time tally of other citizens’ support or opposition to each item. If you would like to be notified of how each City Council Member voted on an item, and whether it passed, failed or got postponed to what date, then you would simply click the “Notify Me” icon next to that item. I forgot to mention that the agenda items would all be listed with approximate times to be heard, so that you could plan to be down at City Hall in case you wanted to witness the sausage-making in person. And the same public engagement features should be provided for Council Committees and all boards and commissions. How Much Would a System Like That Cost, And How In the World Would We Pay for It? The project could be phased in over time. It would be nice to have both a phone and dedicated tablet app, as well as a desktop computer version. And they should wirelessly sync with each other on your home network. With any luck, there might even be a non-profit organization or foundation that would consider underwriting all or part of the cost. This entry was posted in Uncategorized and tagged Austin, Austin 311 app, Austin affordability, Austin City Council, Austin Public Engagement on June 18, 2015 by Bill Oakey. It is quite appropriate that the Halloween tricksters from a certain male opponent of Steve’s sent out two ghoulish mailers this week. We shouldn’t let them scare us, and it’s easy to tell that they are the ones who are spooked! The special interests who are backing Steve’s opponents are unwilling to match his pledge of real tax relief for Austin homeowners. Instead, they conjured up a band of outside agitators from South Carolina to send out negative mailers to Austin voters. This represents an act of desperation, and it probably means that Steve’s positives messages are cutting into the hopes of any opponents who were hoping to beat him. This is where those of you reading this come in. Make your plans to vote for Steve, if you haven’t already. You can vote at any polling location on Tuesday. Then you need to email, Facebook and tweet your friends and remind them to vote for Steve. If we keep the attention focused on these net few days, Austin can finally put the bad old days of business as usual at City Hall behind us. Steve is a down to earth, hard working guy who is quite the opposite of the spooky character that the outsiders portray him to be. You should set a time to go by his campaign office at 301 Barton Springs Road. Volunteers will be needed right up until the polls close at 7:00 on Tuesday. In the meantime, just keep in mind that solid, common sense principles like financial transparency, truth in taxation, and real affordability reforms instead of lip service and empty promises can be ours if we just get out the vote for Steve Adler. Treat yourself to a grass roots victory in the mayor’s race this Halloween. Remind your friends that all of the tough problems that Austin faces today were brought about by the very people who are opposing Steve in this election. It is their “experience” that got us into this mess. Oh, and there’s just one other thing. Wouldn’t it be fun to see that boyish grin on Steve’s face Tuesday night when he wins! This entry was posted in Uncategorized and tagged Austin, Austin affordability, Austin City Council election., Austin mayor on October 31, 2014 by Bill Oakey. Voters who were still undecided in the mayor’s race can breathe a big sigh of relief. The decision just got a whole lot easier with yesterday’s announcement. Steve Adler is calling for the City to adopt a 20% residential homestead exemption on our property taxes. No sooner did the words spring forth from his lips, than Mike Martinez and Sheryl Cole shrieked their resistance. Of course the City cannot be more responsible in its budget. Of course they can’t grant us the very same exemption that Travis County has offered for two decades! What an outlandish and preposterous idea! The financial rule of thumb at City Hall has been to spend as much money as possible as quickly as possible. And if there is a budget surplus in midyear, be the first out the door with ways to spend that too. That’s precisely why Austin has an affordability problem. If the local leadership does not set the right tone, every other group, public or private, will assume that we don’t have a problem. But this time around, the citizens know better. We have seen how affordability affects our own family budgets. And we cringe at the thought of so many good people having to sell their homes and leave Austin. What we need to do is tell Mike Martinez and Sheryl Cole that their time is up. They each had eight years to steer the City onto an affordable path. Instead they did the exact opposite. Both major utilities are facing unending rate increases. Taxes and fees at every level have spiraled out of control. So, why should we expect anything more than business as usual from either incumbent candidate for mayor? But What About Those Loud Voices Criticizing Steve Adler on the Environment? Out of hundreds of legal cases over a long career, Steve participated in a tiny number of cases that were not favorable to the environment. It is a huge stretch to even think about comparing those to the untold number of harmful votes by both Mike Martinez and Sheryl Cole. During eight years in office, they attended close to 400 City Council meetings. In that time period, they voted against neighborhoods and the environment dozens upon dozens of times. If you are happy with the status of development over the Edwards Aquifer, or the wasteful spending on Water Treatment Plant #4, or the steady erosion of neighborhood plans and protections, then feel free to vote for more of the same. If you have not met with Steve or attended a forum to listen to his ideas, then keep an open mind about him. You owe it to yourself to consider a fresh start to a badly broken and unaffordable system at City Hall. 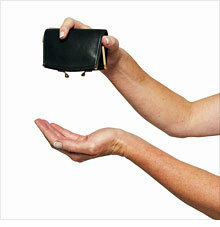 The next time you pull out your wallet or purse, ask yourself if you are better off than you were a few years ago. Ask yourself if you can afford more of the same. Or, if you would rather vote for a mayor like Steve Adler, who will listen to all of the people instead of just the special interests. This entry was posted in Uncategorized and tagged Austin, Austin affordability, Austin City Council, Austin mayor, Mike Martinez Austin, Sheryl Cole Austin, Steve Adler Austin on August 5, 2014 by Bill Oakey. We would all like to find candidates who will hit the ground running as soon as they take office. But the voters in District 4 are lucky enough to have someone who is working hard for affordability even before the election! 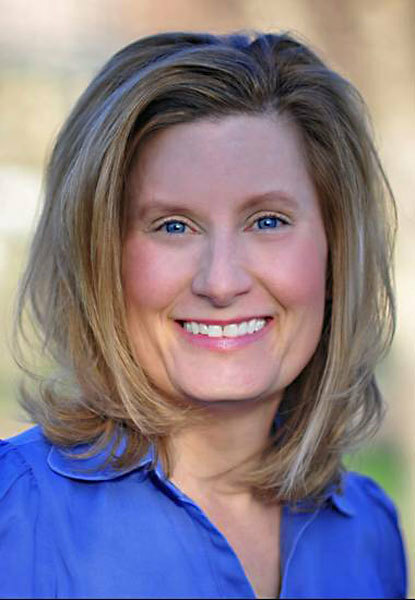 I’m talking about Laura Pressley, and I’m pleased to offer her the endorsement of this blog. 1. Stopping a $1.5 Million Water Utility Fee Waiver – The City Council was poised to give away $1.5 million in badly needed Water Utility revenue to U.T. for a medical school construction fee waiver. After reading about it on this blog, Laura dug into the issue, contacted the media, and stood her ground in front of the City Council on June 12th. Her success in stopping the fee waiver is nicely documented in this YouTube video. 2. Taking the Lead On Public Outreach Regarding the Urban Rail Bonds – When Laura joined an email discussion of the badly misplaced and hugely expensive urban rail bonds, she did a lot more than just listen and share her thoughts. She organized an urban rail public forum for August 26th, which will feature several speakers focusing on various aspects of the issue. The forum will be moderated by KVUE-TV. More information will be posted on this blog as soon as it is available. 3. Helping to Reform the Public Input Process at City Hall – Like most of us, Laura is frustrated by the fact that big ticket consultant-driven plans like Imagine Austin, CodeNEXT, and Project Connect only pay lip service to public input. There are no guidelines to require that the public suggestions and opinions be summarized, quantified, or incorporated into the new policies that are developed in the plans. On this blog I proposed that the City adopt a Public Engagement Ordinance. (You can read about it here). Laura immediately took the proposal to the Austin Neighborhoods Council Executive Committee, so they could prepare a resolution. Once again, she is hitting the ground running, without waiting until after the election. District 4 voters should follow her lead and run to the polls during early voting this fall and vote for her. When you go to her website, you will see that affordability is right at the top of her list! You can click here to make a donation to her campaign. And go here to visit her Facebook page. Make sure that you send this blog link to all of your friends and neighbors in District 4. This entry was posted in Uncategorized and tagged Austin, Austin affordability, Austin City Council, Austin Election, Laura Pressley on July 23, 2014 by Bill Oakey. 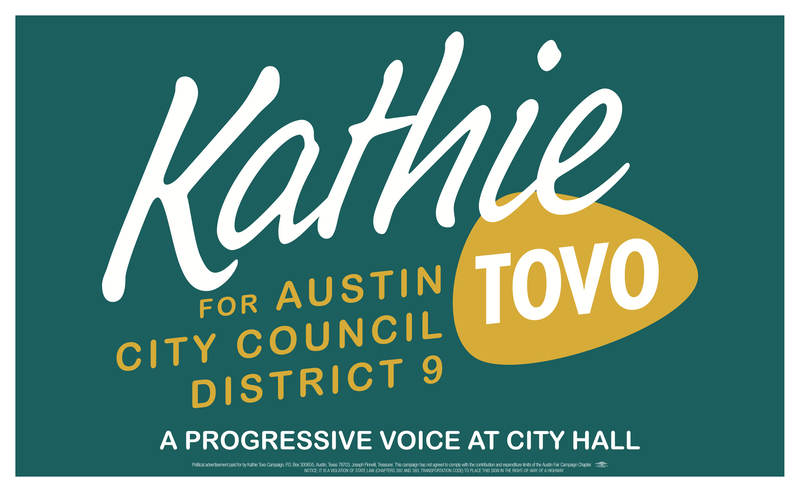 Kathie Tovo Is Hands Down Best Candidate In District 9! If you walk through District 9 and you happen upon someone sitting on the fence, help the person down off that uncomfortable perch, and over to Kathie’s side. There is simply no comparison between the candidates. Kathie Tovo is far and away the best choice! 1. Increase to the Over-65 Homestead Exemption – Kathie and her staff did not back down in the face of initial resistance to this City Hall victory. We won because she listened to the facts and fought to convince a majority of the Council to stand up for Austin seniors. 2. Not spending the $14 million budget surplus – While other Council members looked for ways to spend the surplus, Kathie applied her diligence to the issue and avoided any new spending. The taxpayers scored another victory when her vote helped preserve the entire surplus. 3. A Resolution to End Costly Fee Waivers – Kathie sponsored a resolution to explore alternative funding for special event fee waivers for profitable event promoters. The funds would come from ticket surcharges or the Hotel Occupancy Tax. This reform would save taxpayers millions of dollars. 4. A Resolution to Consider a General Homestead Exemption – The City staff has been directed to evaluate the impact of setting up a general homestead exemption. We are hopeful that this can happen, perhaps by phasing in the exemption over a few years. Once again, Kathie is our champion for taking the first step in this important effort! 5. Standing Up for Neighborhoods Time After Time – Kathie understands the importance of preserving our neighborhoods and not letting them become gentrified or hobbled by inappropriate development that destroys their character. Ask any neighborhood leader this: Who among the entire seven members of the City Council can you trust the most? They’ll tell you it’s Kathie Tovo! 6. A Council Member and Staff That Listens to the People – As a veteran City Hall watchdog for over 30 years, I have never encountered a better working relationship with anyone on the City Council or their staff. All of Kathie’s staff do a great job, but my special thanks go to one policy aide, Shannon Halley. When you vote for Kathie in November, just know that you are getting not just one person, but a whole team who will do the research, listen to your concerns, and do what’s best for those of us who really care about Austin! You can visit Kathie’s website here, and click here to make a donation. And go here to visit her Facebook page. Make sure that you send this blog link to all of your friends and neighbors in District 9. 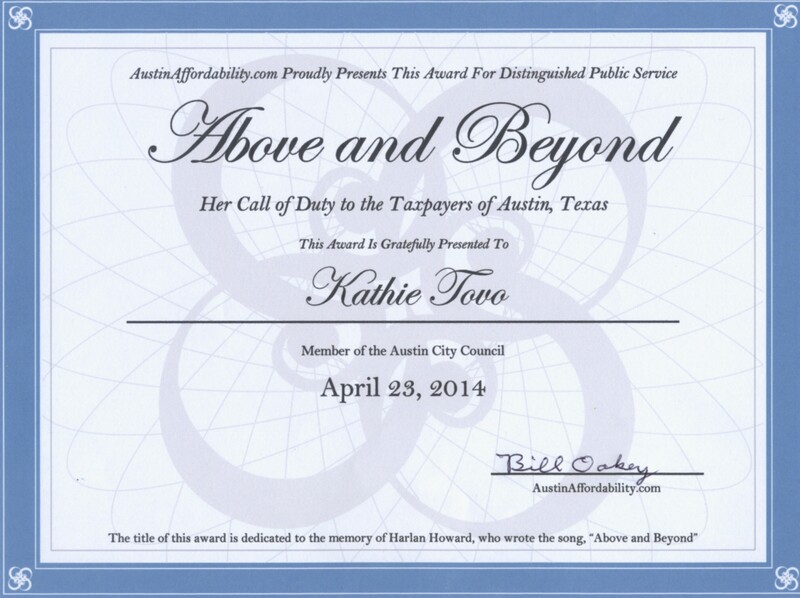 When it comes to affordability, we just can’t afford to pass up the opportunity to keep Kathie Tovo. See below for the award that Kathie earned from this blog earlier this year. Click to enlarge it. This entry was posted in Uncategorized and tagged Austin, Austin affordability, Austin City Council, Austin District 9, Kathie Tovo on July 22, 2014 by Bill Oakey. 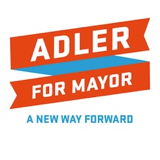 Let’s All Get Behind Steve Adler For Mayor! 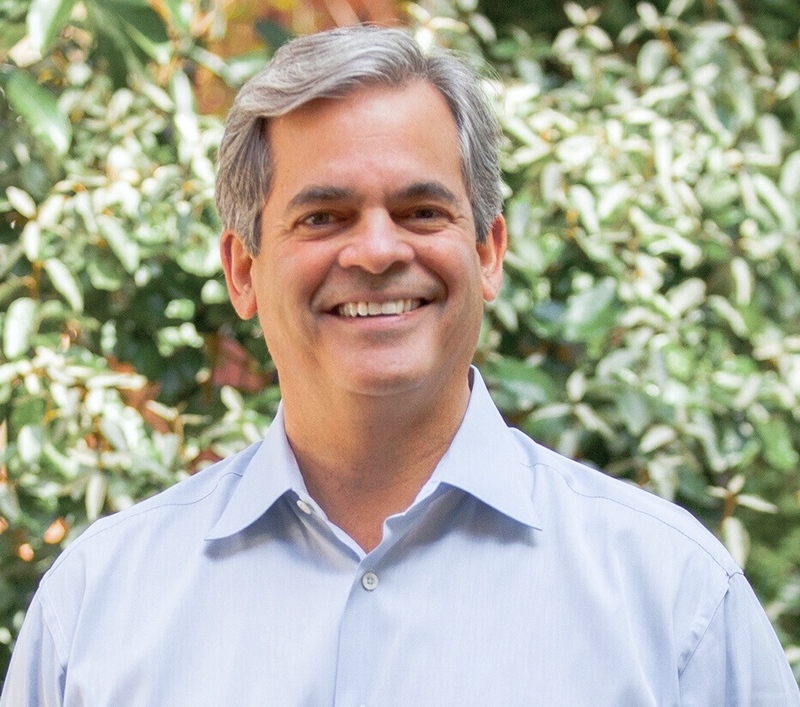 As Austin transitions to a new 10-1 district system for electing City Council members, we face a unique opportunity to consider new leadership in the mayor’s race. As someone who has worked hard to find solutions to Austin’s affordability issues, I am pleased to support Steve Adler to be our next mayor. I urge everyone who has not yet learned about Steve to check out his campaign website here. For many, the decision on whom to support in the mayor’s race may not seem easy. It was difficult for me as well initially. But one thing became clear right away. The two incumbents on the City Council who are running for mayor have one huge disadvantage. Their voting records do not stand up to the challenges we face on affordability. A fairly simple test can be applied when considering either one of the incumbents. If they come to a public forum now and announce that they have found a solution to affordability, just ask yourself one question. Why haven’t they done something about it already? They have been on the Council for several years. Steve and I have discussed my proposal for a Taxpayer Impact Statement to be included in the budget. The new reform will ensure that the City Council can no longer just say they are “holding the line on the tax rate,” when skyrocketing tax appraisals cause huge tax increases. Steve is so firm on this issue that he has challenged me to help him make sure that the reform as adopted will be rock solid. This reform proposal began in 1986 and has now reached its 28th anniversary. Let’s elect Steve so we can celebrate a true victory for the voices of the people at City Hall! Steve’s experience working in the Legislature will help us carry this battle across the finish line. Why Do I Think Steve Adler Is The Best Person for the Job? The guy is just so gosh-darned smart! It’s not even fair that he’s that smart. But he is and we need to tell everyone we know that he’s the one we need for mayor. Email, Facebook and Tweet this blog posting. Go to his website and sign up to be notified of his upcoming events. Click on the DONATE button at the top of the screen. Bring your neighbors and friends to his events and to the public forums in the mayor’s race. In November, we can either go back to business as usual or join Steve in a New Way Forward. This entry was posted in Uncategorized and tagged Austin, Austin affordability, Steve Adler, Steve Adler Austin, Steve Adler Mayor on July 2, 2014 by Bill Oakey.